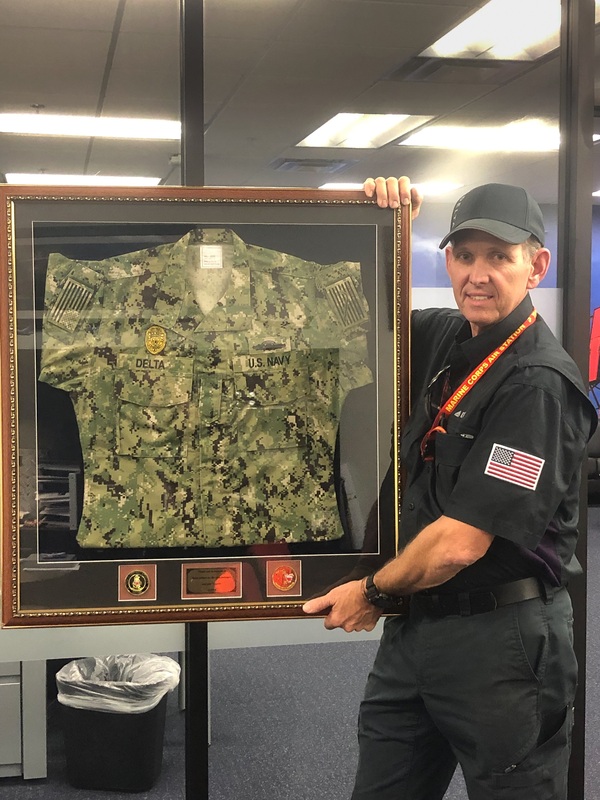 In time for Thanksgiving, TechOps received a special token of gratitude from the U.S. Navy — a military uniform bearing the name of "Delta" in a show of appreciation for Delta employees who've participated in the ongoing Operation Care Package. "Each shipment each week is a huge undertaking," Norris said. "There's a lot of organization involved, from connecting with troops overseas, verifying shipping addresses, managing the funds and picking up and shopping for groceries. But none of this would be possible without all the volunteers, donations and support." 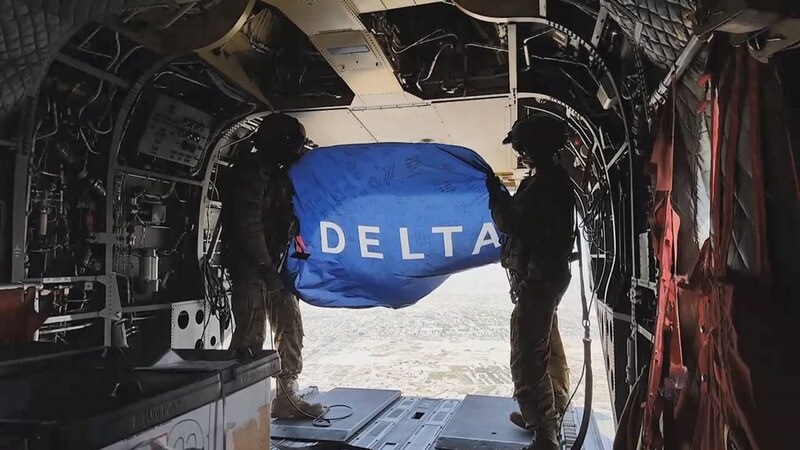 Delta's very own military uniform was a gift from Petty Officer 2nd Class Michael Moore, a​ nephew of TechOps employee, Ben Landers​, on behalf o​​​f his entire​ team. The plaque below the uniform reads, "Thank you to everyone at Delta [Air Lines] for the care packages, and your support. –ESIT-6."